A TV antenna is not something that’s typically left in plain sight if it can be helped. Usually they’re a bit on the ugly side and everyone can identify one on sight. If you don’t want to leave out an antenna that announces its presence in your living room, you might want to pick this one up. 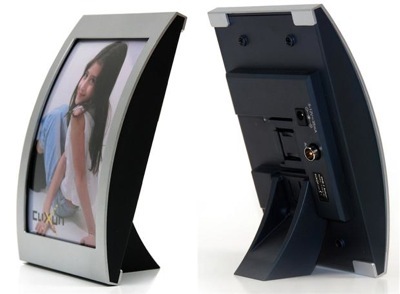 Instead of being too obvious, it looks like nothing more than a normal picture frame. Not a digital one, but at least it’ll show off one of your pictures. The antenna can receive DAB, DVB-T & ATSC signals. It’ll also work out just fine to pick up those analog TV signals. It claims it’ll even work for those that in the past have had to rely on the large outdoor antennas. It has a USB interface as well as an optional power supply. It also of course has low noise and low distortion amplifiers. It’ll work with either your TV or PC. You can purchase one for $39.99 through Clixxun.